Thirty-five Years of Italian Style. 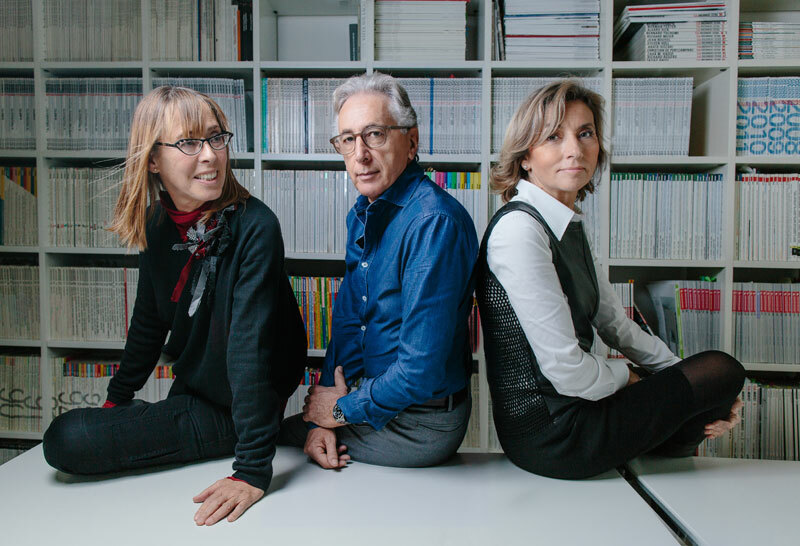 Sergio Castiglia with Marinella Santarelli and Maria Tiziana Tazza have been creating, projecting and promoting activities in the fields of design and architecture for more than thirty years. The Studio’s professional competence and heterogeneous experiences built a work-team able to deal among creative scenarios and manufacturing sites dedicated to the research of contents and aesthetics of the present. In these past few years, the Studio’s working method has been subject to considerable changes, both because of the evolution of computer systems with consequent new graphic representation tecniques, and the need of interpreting the project as a whole, from its initial concept through its very communication. Successful relations in art directions have been established with several companies, thus enabling the designers to oversee the various project stages and therefore ensure a better product quality. The activity of the studio includes architecture projects, industrial and graphic design, from furniture to accessories, from kitchens to bathrooms, from lighting to corporate identity, as well as advertising, brochures and websites for hotels, showrooms, trade fair stands, private homes, offices, shops, and banks. Many are the successful products designed in these years, which received mentions and had been awarded in exhibitions and fairs of various sectors. Since 2010 started several collaborations abroad (Russia and China) with important companies in the field of design and architecture.